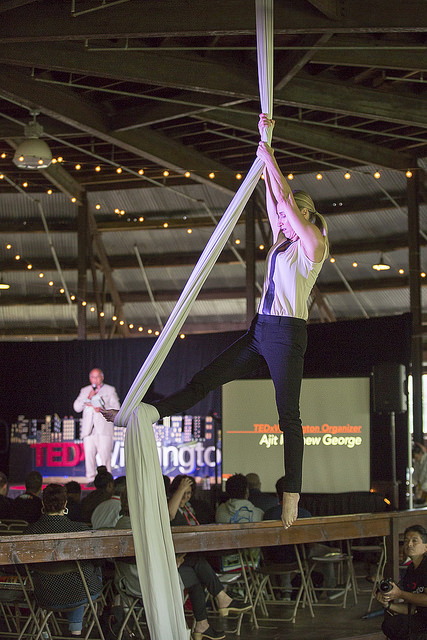 Ajit George is the organizer of TEDxWilmington, located in Delaware. He is a bundle of energy, as evidenced by the fact his tribe produces 12 events a year, with 172 speakers and 164 talks. 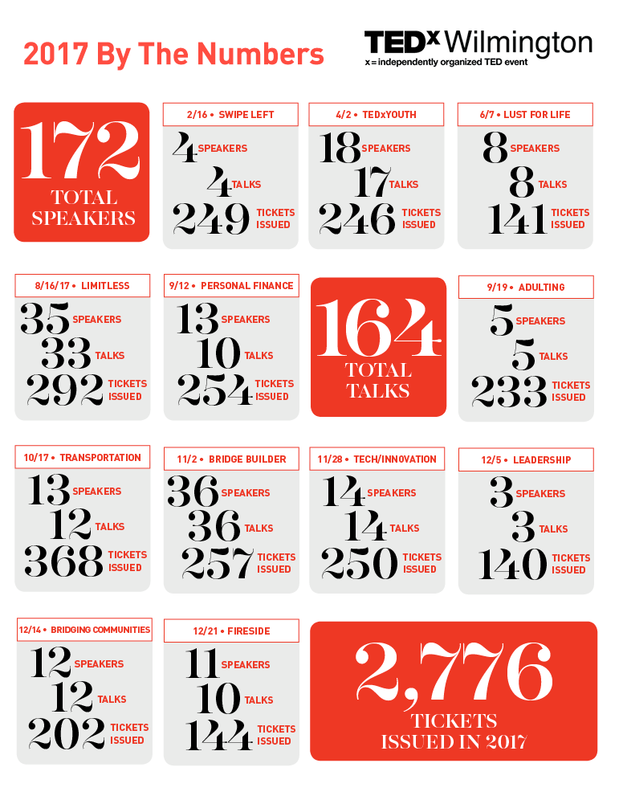 It takes an incredible amount of organization to manage the sheer volume of speakers and attendees. They've had13,939,916 views of their talks since they starting producing their event in 2011, with one talk just breaking 2M views (9/2018). I learned so much from this conversation, as will you. Ajit talks at length about how they plan their event and salons, find speakers and manages a team of 70 volunteers. One tip is they have their speakers write a blog post at the beginning and middle of their journey to the red circle and one at the end. I took this to heart with my journey to TEDxFargo and kept a journal as a result of this tip. Another significant aspect of their organization is they will fund any member of the tribe (as he calls them) to attend another TEDx event. This includes attending TEDSummit or TEDfest. He sent two members of the tribe to TEDfest this year, which gave me a chance to meet them in person. He believes this exposure will help broaden their experience. They pay the registration fee and 50% of the travel. Wow. He makes it a point to visit every TEDx event in Delaware and provides support in mentoring, and even lends their letters to the events that can't afford them. He also welcomes referrals of speakers from other TEDx events around the country. - Delaware is what's called a corporate state. This means thousands of companies across the US are incorporated in the State of Delaware and have headquarters there. This gives them access to sponsors and partners. He believes that his contacts over 64 years of life have helped him develop and fantastic network. - His alumni speakers recommend new speakers. They have an unbelievable pool of available talent as a result. They have a Speaker Ambassador as well, to focus 100% on them. He believes these alumni are their greatest resource. They've also built a robust community on Facebook that you should check out. Ajit says that his venue selection is specific in that they look for small, intimate spaces and keeps the event small on purpose. He says he likes to keep it a ratio of 10-12 attendees per speaker. This episode will inspire you. Please feel free to share it. ps. There's a great story in their local press about the event and Ajit, this will give you even more background on him. Ajit has been producing TEDxWilmington since 2011. They have 7.4M views of their events and have done 375 talks since 2012. 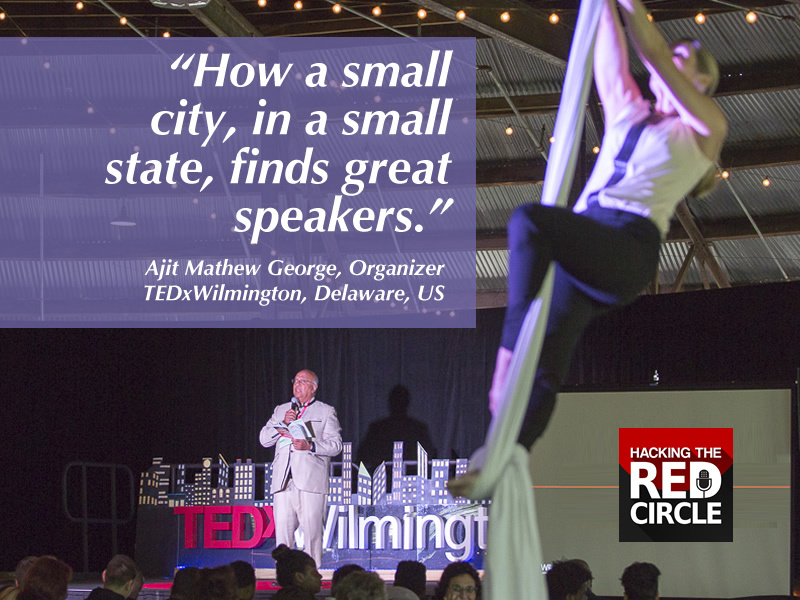 Ajit has been to TEDSummit, TEDFest and travels to every TEDx event in the state of Delaware. They are centrally located in the Mid-Atlantic, halfway between NYC and Washington, DC, which gives them access to a wide range of speakers, even though he says they’re a small city in a small state. How strong the cohort of alumni speakers has become. It’s one of their most significant resources. Making sure speakers know their talk is about ONE idea. Make sure you have speaker sign an agreement and understand the requirements to get on the stage. And have them do three blog posts, at the beginning, middle and after the talk. This was a tough question, as they’re always planning a new event. See graphic above from 2017. Nice work! I love that you are not afraid to make mistakes and keep trying your best to sustain this amazing TEDx in our area.